Chris joined the Whippets in August 2013 after – literally – running into the Whippet founders on a run in Prospect Park. Growing up in the Boston area, running has always been part of his life: spectating the marathon as a kid, running competitively in high school and college, working in a running store, coaching at various levels including youth, high school and adult and a certified USATF official. While his true passion is the team aspect of cross country, he competes on the road, track and trails at distances ranging from 400m to the marathon. His coaching goals include helping individuals improve themselves both mentally and physically and while maintaining the life/ athlete balance. Chris is an RRCA-certified coach. Scott has been a Dashing Whippet since 2009 and has served as a team coach since 2010. His focus is on helping runners improve at races shorter than the marathon, with a particular emphasis on developing speed at the 5K to 15K distance. Brad Hudson, Matt Fitzgerald and Renato Canova have been the most influential on Scott’s training plans. He is a graduate of the University of Pennsylvania, and works as a systems analyst for The City of New York. Scott is an RRCA-certified coach. Megan has been a Whippet since 2013. 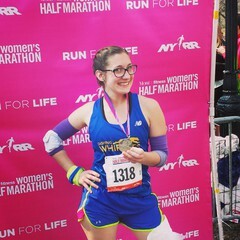 Born and raised in Staten Island, she was introduced to running at the young age of 7, and joined her local CYO track team. Megan continued running for fitness during college. After graduating from Pratt Institute with a BFA in Fashion Design, she went on to work for Donna Karan Collection and currently works for Carolina Herrera. Taking running dedication to the next-level, Megan became a USATF Level 1 coach in 2016 and a RCAA Coach in 2017. She is also currently perusing her VDOT certification to be completed in 2018. Her favorite race distances to train herself and others for are half marathons and marathons. When not racing or planning for races, Megan loves to cheer on her fellow Whippets as they crush their goals! Fred ran cross country and track at Williams College, competed in triathlons after college and has been running with the Whippets since 2014, competing in races ranging from the mile to the marathon. Fred teaches high school math in Brooklyn, where he also coaches his school’s Cross Country and Track & Field teams, including individual and team qualifiers for the NY state championships. 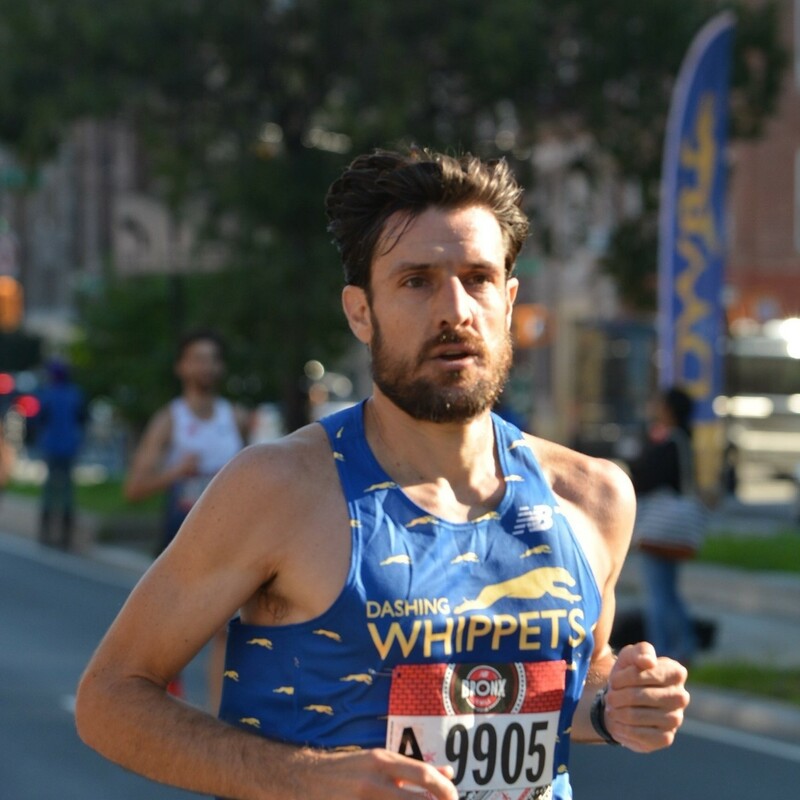 Fred is an RRCA-certified coach and a new addition to the Whippets coaching staff as a resource for runners in Brooklyn and for members of the Performance Team. Emmi Aguillard has been a competitive distance runner since she was in the 7th grade, competing DI Track and Field/XC at Tulane University. She graduated from Columbia University with her Doctorate in Physical Therapy in 2016, and has been a Physical Therapist at Finish Line PT since June of 2016, where she specializes in treating runners and endurance athletes, with a focus on both “prehab” and performance. Emmi completed her Fellowship in Applied Functional Science through the Gray Institue in 2017, and is also an RRCA-certified coach. 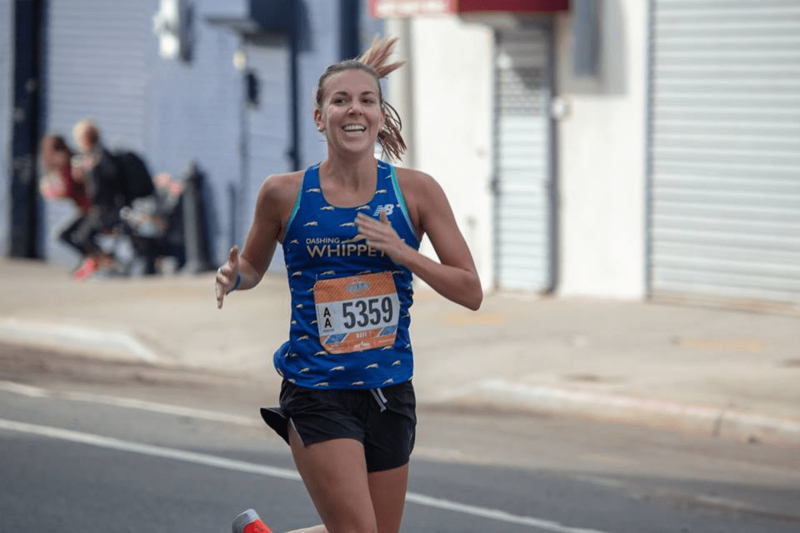 Emmi has been a member of the DWRT since her move to NYC in 2013; she has completed NYC Marathon 2x, and has run Boston 3 times (as of April 2019). In her spare time, Emmi also enjoys exploring NYC’s food and beverage scene and Saints Football. Don’t hesitate to reach out to her for questions on strength and mobility training for runners, injury prevention, or returning to running after time off!